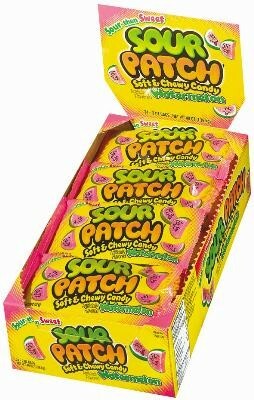 Sour Patch Kids Watermelon Candy from Cadbury-Adams, the “sour then sweet taste sensation” with a special twist of watermelon flavor. These unique and fun candy treats start out in your mouth sour but then turn sweet. Kids of all ages with love these fun candy treats. 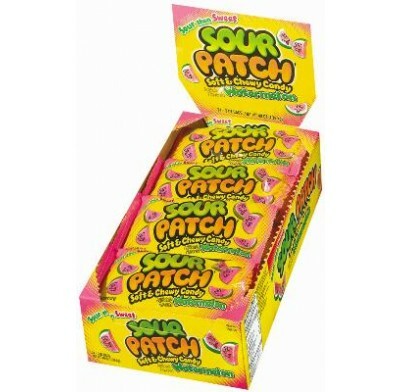 There are 24 Sour Patch Watermelon packs per display box.